My Mazda has got worse, mainly in first when setting off normally its like it tries to stall then picks up but if you don't smooth it out with more revs and a slip of the clutch it turns in to a jerky up and down movement. Its worse in town traffic and you are constantly trying to maintain a smooth momentum without stalling as it doesn't creep in first very well. Sometimes in second in the same scenario it happens too. 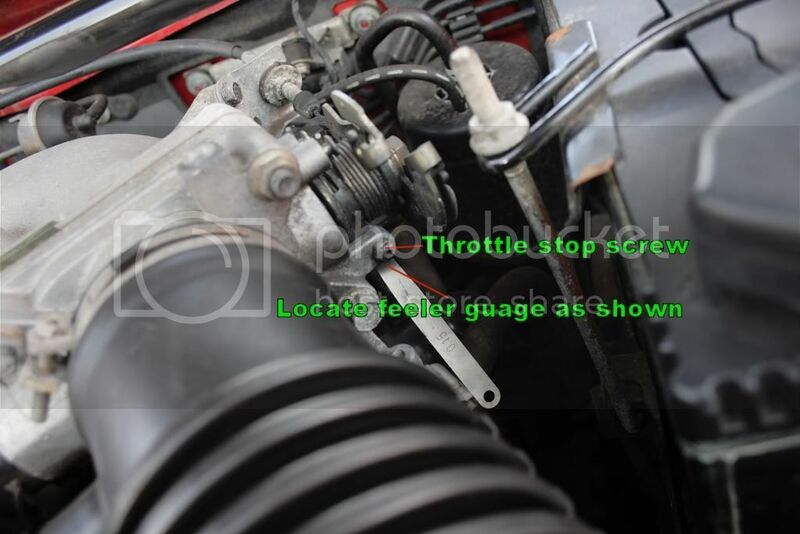 I was thinking of raising the idle by nipping the throttle cable and then tightening it, do you think that might help? I should add that once you are on the move it is smooth as anything, engine, clutch and gear change wise. Howd you get clutch from that? Whats your idle rpm? Does the idle fluctuate? Checked for air leaks, correct maf reading and tps reading and IAC operation? k, that just means the engine is under load though, if the clutch was coming on hard thatd make all the gear changes rock solid as it wouldnt be seperating power from the drivetrain properly, so in effect it would be slipping when fully disengaged so the car would creep or lurch when selecting a gear or flat out refuse to engage a gear without huge grinding. I dont think in all the problems that have been posted on a similar issue has it ever been clutch based as its engine running not drivetrain related. Tim> Try checking the above, then consider setting the idle and idle adjustment screw, dont tamper with the throttle cable unless you find that there isnt any freeplay at the pedal. 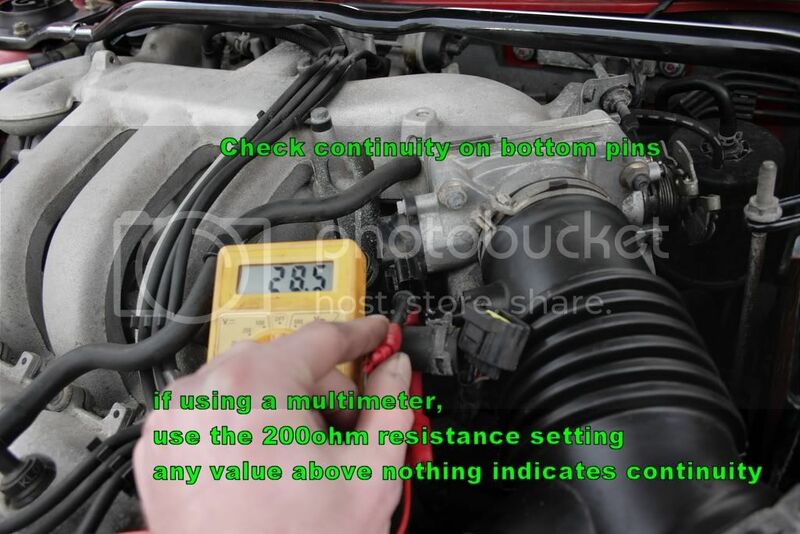 The idle shouldnt be adjusted, even the workshop manual states this so even techs shouldnt touch it, however, if need be, I can run you through this however it shouldnt be necessary if you havent recently bought the car and it has been running fine before, a tps, iac check would be a good place to start aswell as checking plugs and leads for a misfire, you could also pull the distributor and scrape out the oxide from the ignition points and rotor, you havent mentioned a misfire but its still no bad thing to do in the course of regeneratring a healthy spark. While your at it, buy some carb cleaner and give the inside of the throttle body and its internal pipework a good dousing and remove with a suitable cloth such as an old tshirt, anything cotton and without fluff/lint and loose strands is fine. OK thanks for all replies. I can "drive" past the issue by slipping the clutch past the troublesome RPM point and no misfires to mention. I don't think it is the clutch as it also happens just over tick over rpm with clutch fully up. The spark plugs, distributor cap, oil and air filters have all been changed in the last 6 months. I cant really remember when it started but has been present for at least a month or two but only major thing was MOT then and only needed a new ball joint and track rod end. What does the idle and idle adjustment screw do? Whereabouts is it located and can changing it do more harm then good? Where are the TPS and the IAC, what do they do and how would I check them? The cleaning sounds easyish but I had a look today but the air pipe that goes to the engine looked difficult to remove and there is a second pipe but not sure where that goes to? I have heard an hissing from the pipe at tick over so maybe a leak but cant hear when revved manually as the engine gets louder and covers the hissing noise. 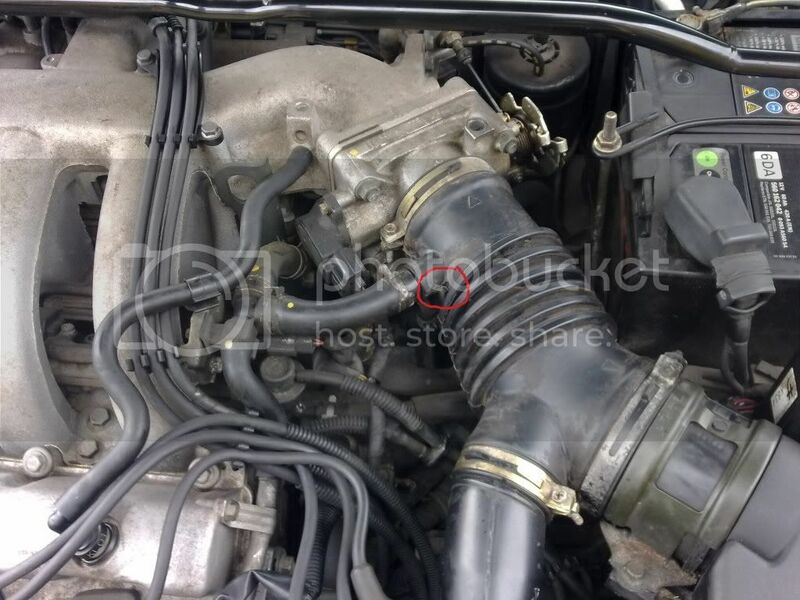 I have included a picture of the air intake and if you could advise where the components are that I can check and know where they are. I'm keen to try and fix this but wouldn't want to spend a fortune as personal circs have changed (new baby daughter! arrived). Any help would be greatly appreciated. The pipe is very easy to remove, it just requires the jubilee clips to be untightened, the airbox connects the MAF sensor, the pipe that then comes from that is like a Y shape, obviously one port is open to the maf/airbox and the other is connected to a small hard black plastic tube, this tube is a resonator, it helps sound deadening and air pressure, its basically a vacuum chamber, then its finally connected to the throttle body. 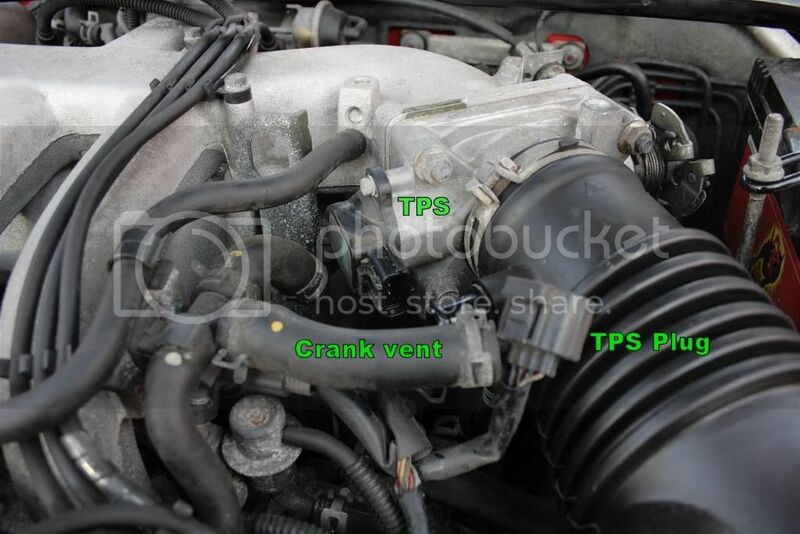 Thats a ridiculously common problem, if you think you have a leak there then you more than probably do, but you may also be hearing the induction noise of air passing through the pipework and through the throttle body plates. Simply remove the pipe from the MAF and the throttle body, iirc the resonator isnt bolted on to anything but check first, but no need to remove it from the Y pipe, once removed, look around the inside and outside for cracks, if there is one you can repair it with duct tape but you should aim to replace it asap. These arent available easily or cheap except when someone is breaking their car for parts, even then you may end up with a duff one so its easier just to replace the pipe with an induction kit, look for one that has the spigot for the oil breather pipe (the smallest pipe thats connected to the Y pipe, located a few inches before the Throttle body on the left side. Yup, know the feeling, became a first time dad myself in October last year to a bouncy baby girl too, advice is always free, unfortunately your considerably too far away for me to come and help you but the problem will only require time and troubleshooting until you find the culprit, until then I shouldnt worry about cost, its probably just that air leak you can hear and if not then theres several things that it could be that can be sorted with a clean and readjust until your able to afford it. If you have a local motor factors call them for any parts, I can recommend APD, we have a few motor factors locally and their without a doubt the most friendly, knowledgeable and most importantly, cheapest. Got a whole set of NGK Iridiums for £45, new spark leads for £26, although the one I always am impressed with is there bosch super plus windscreen wipers, halfords charge £12.99 EACH, APD charge about £4.20 inc vat, so you can kit out your whole car with wipers for less than the cost of one at halfords. Its best to call them though as their website is horrendously slow and often cant find the bits you need, its also cheaper in store as they offer free delivery online and charge you for it by including it in the parts cost. There often cheaper than ebay and they use proper quality parts, nothing is from an unknown chinese factory, its all OE spec and from a reputable manufacturer, even if the name isnt familiar its good stuff, the ht leads I got were a brand called Electrospark, on the back of the pack it says its made by Kerr Nelson, who are like the UK equivalent of NGK, a performance set of Kerr Nelson leads for the MX3 will cost you £130+, although the ones I got were just standard, I checked the resistance value on each lead and it was still excellent. 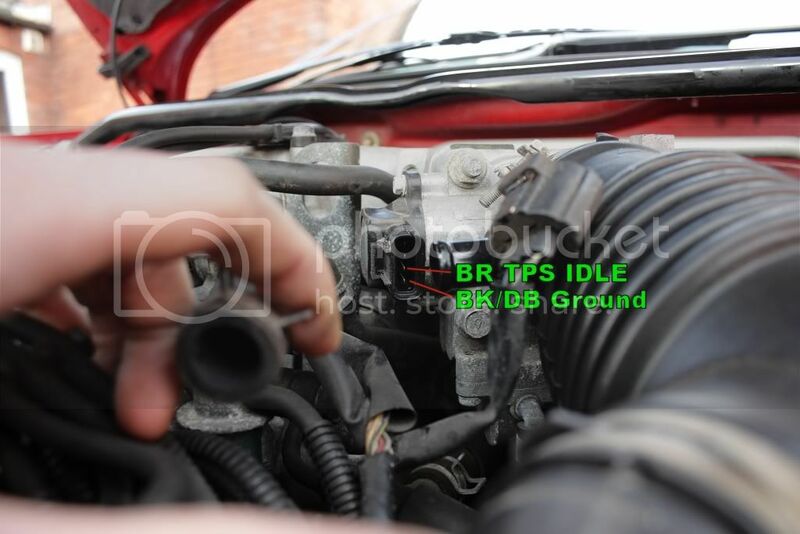 just spotted something in your photo, check the bit Ive circled, it looks like its split below the oil breather spigot…. Thanks to all for their replies, especially to Jesta for the in depth answering of my questions. Given that I keep the car "serviced" and checked and in general good order every 6 months or so I decided to have a closer look at the intake pipe from the air box as suggested. I could see any splits on top so just decided to cover it all in duct tape and make an air tight seal. So I'm pleased to announce that it is running absolutely brilliant and no jerkiness or anything, just a smooth pull away without the need for 2000 revs. I can’t believe how fixing a such a small problem can have such a big positive impact on driveability. Thanks again to all who helped me with my problem.